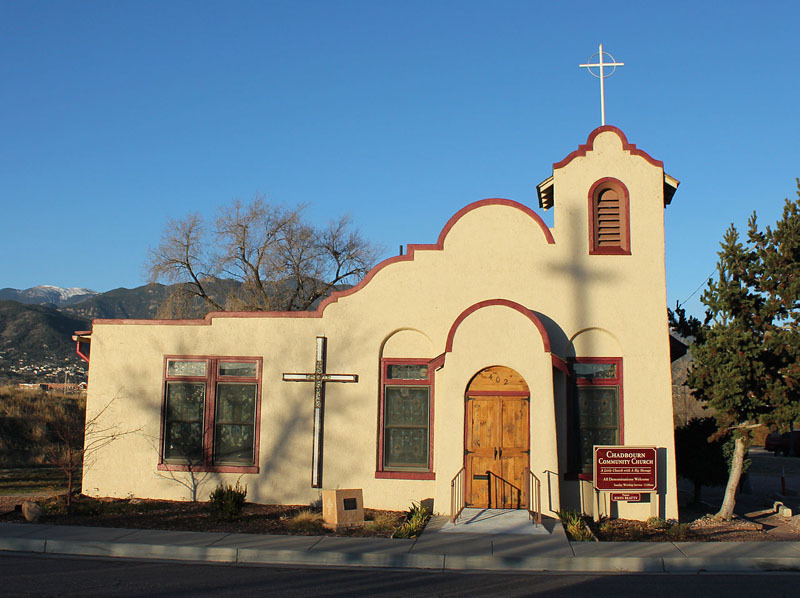 The Mission is significant for its association with the Hispanic neighborhood that once flourished during the early 20th Century. Originally a small grocery and residence, built sometime during the 1910’s and serving many Jewish and Scandinavian families, it was transformed into a mission and community center for nearby Hispanic residents in the 1930s. The principal motivator for the mission was Ruth Chadbourn who had served as a missionary in Costa Rica. She obtained funding and staffing from local churches for bilingual Sunday religious services, and classes in English and sewing. It became an interdenominational mission supported by the principal Protestant denominations of the city. The building was named for Ruth Chadbourn after her death in 1936. A major expansion in 1939-40 added room to the south and stuccoed the building. This building is an example of Mission Revival style, with a projecting tower, shaped parapets on the gable ends and stained glass double-hung windows.